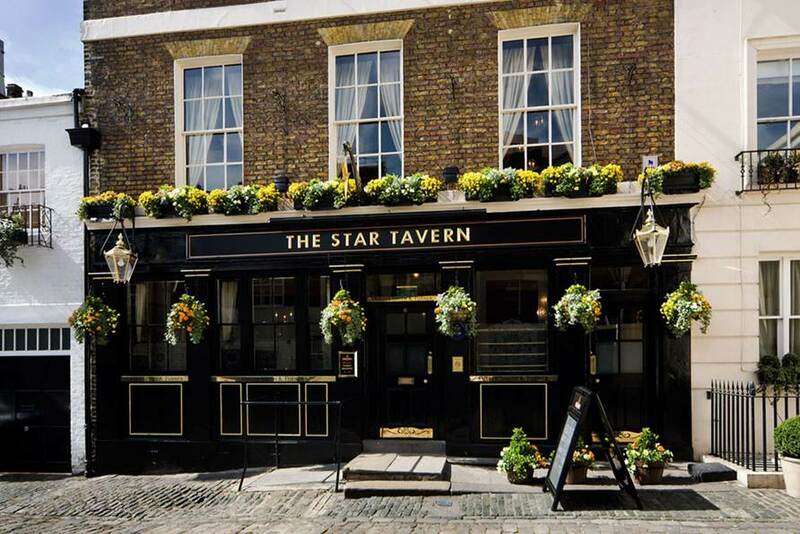 The Star Tavern is an award-winning, traditional London pub located in the heart of Belgravia. It won infamy during the 1950s and 1960s as the hangout for London’s inner circle of master criminals, who drank bottles of Dom Perignon alongside stars of the era such as Diana Dors, Peter O’Toole, Albert Finney and Alexander Korda. It is here, where most of the planning took place for what was then the century’s biggest heist, the Great Train Robbery (1963), netting the gang of 18 men £2.6 million, which is about £40 million in today’s value. Today, The Star Tavern is a friendly, comfortable pub offering a fine selection of drinks, great food and a warm and welcoming atmosphere. It is tucked away from the busy streets of Knightsbridge and Belgravia, in a small mews just behind the German and Austrian Embassies and has an inviting exterior including a star stained glass window. There are two floors and as you enter, you will find the wooden bar to your right with a few stools where you can enjoy a drink and bar nibbles. 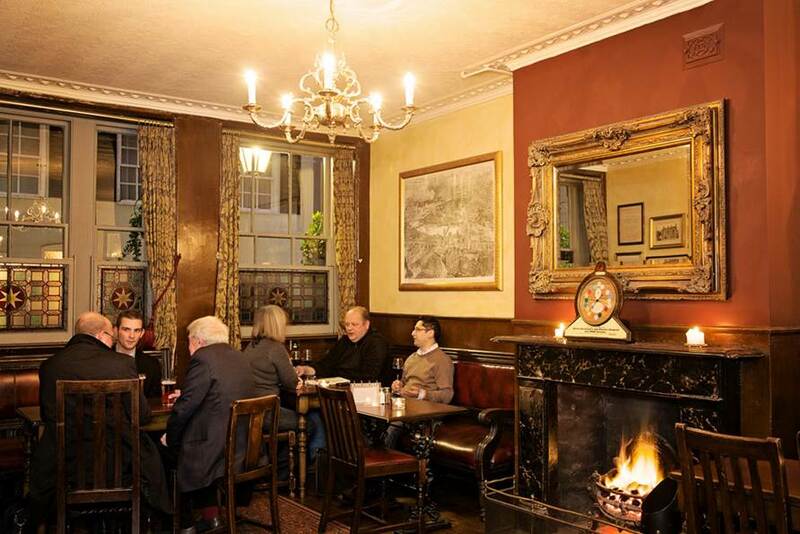 The atmosphere is rather cozy and the pub benefits from two fireplaces, one on each floor. You are almost always guaranteed a space to sit, allowing you to enjoy a conversation without the need to raise your voice. It is usually quiet, but gets busier on a Friday or Saturday night. One of the downsides of The Star Tavern is its lack of outside space. As the pub is on a residential mews and close to several embassies means that punters are not allowed to have their drinks outside the pub. Whilst this is not a matter of concern on those rainy and cold autumn and winter days, it can be a ‘deal-breaker’ in the summer. The pub’s private dining room is used for parties, conferences, presentations, and small wedding receptions. It can hold up to 50 people standing, and up to 34 people when seated for dining. You can enquire about functions here. The Star Tavern offers a traditional pub and restaurant menu which is prepared by head chef, Maurizio Serafini. Featured in the good food guide, you will be served top quality meals along with an excellent pint of ale or draft beer. The specialities are: scotch egg, farm beef burger, cod & chips, sausage & mash, as well as traditional Sunday Roast. The Star Tavern is owned by the London Fuller’s Brewery. 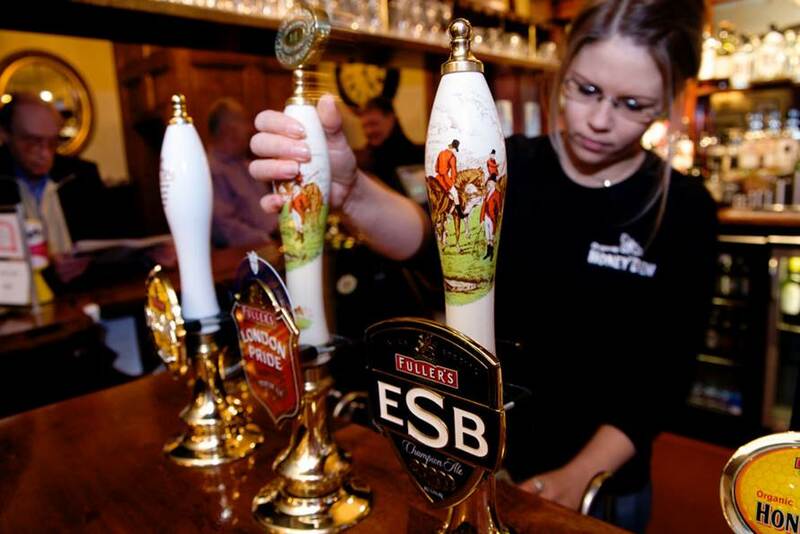 It offers a wide range of beer and ale including the following drinks on tap: London Pride, Frontier, Oliver’s Island, ESB, Honey Dew, Seafarers and Cornish Orchards Gold. The opening hours are: Mon – Fri: 11.00 am till 11.30 pm, Saturday: 12.00 pm till 11.00 pm and Sunday: 12.00 pm till 10.30 pm. 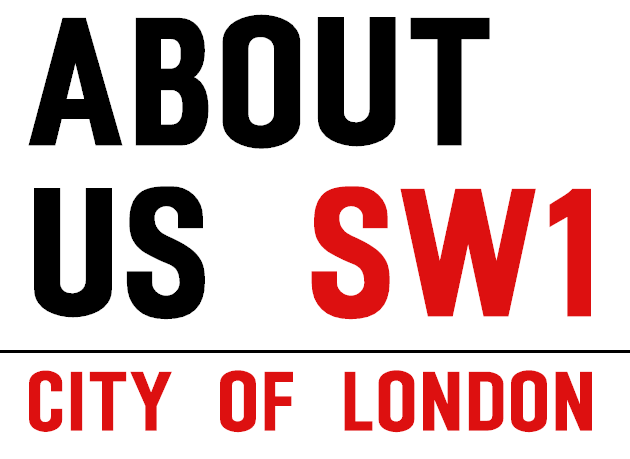 The address is: 6 Belgrave Mews West, London, SW1X 8HT; telephone number: 020 7235 3019. You can follow The Star Tavern on Twitter @Star_Tavern or check its website. 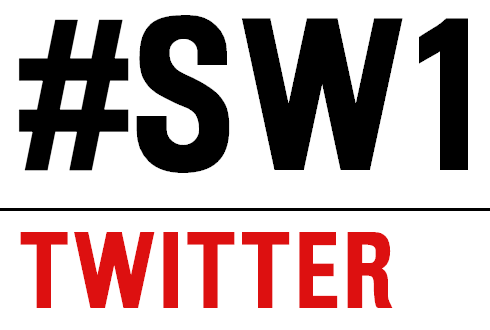 Copyright © 2019 SW1.London. All Rights Reserved.